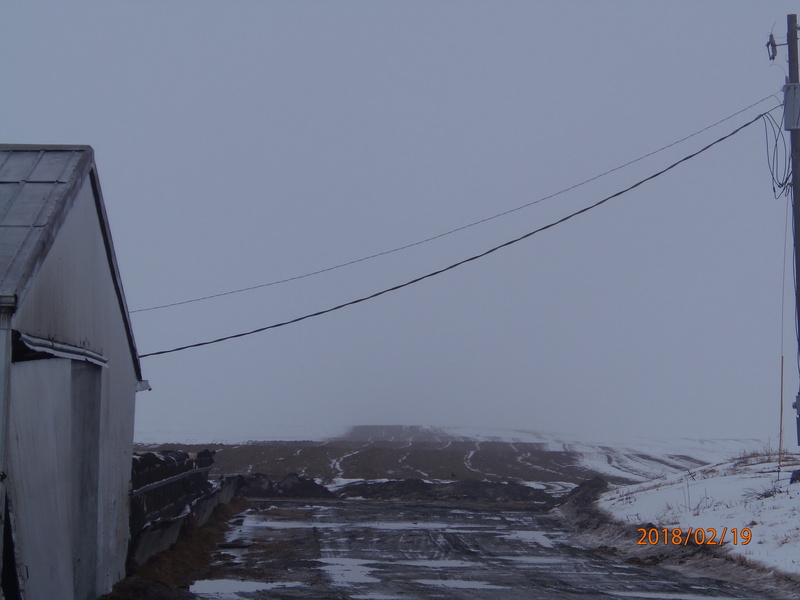 Feb. 19, 2018– Warner (medium, unpermitted) CAFO, east side of Pentecost. Manure application on snow; manure runs off when snow melts because the ground and any cover crops underneath are still frozen. 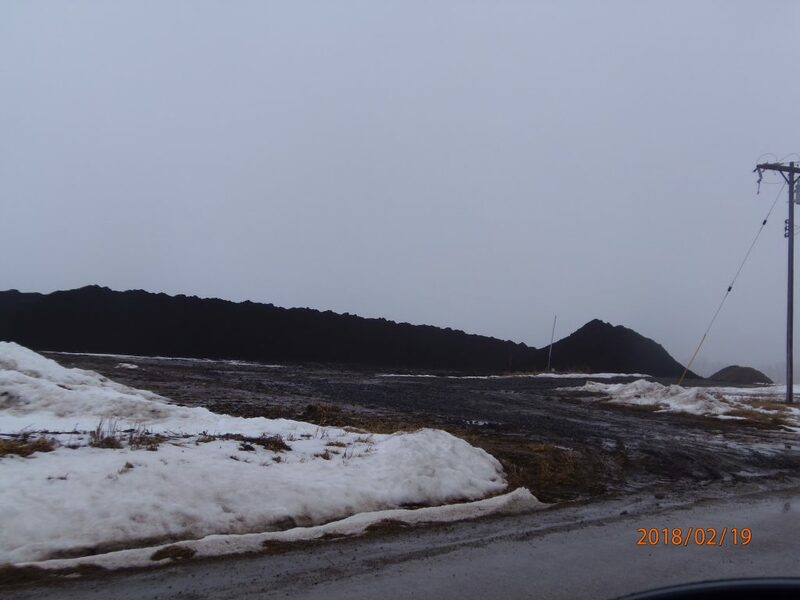 Feb. 19, 2018– Halliwill/New Flevo/Van Brunt manure and compost stockpile on Forrister Rd. Melting snow and no containment cause manure to run off into the road and roadside ditch, carrying manure-laden water to the South Branch of the Raisin. This is a frequent problem at this site.